The Volvo is known for its safety and reliability. When you purchased your Volvo you probably intended on driving it a while. Volvos are a vehicle make that’s definitely built to last. This excellent performance and reliability does not happen on its own though. It requires drivers to take control of its overall maintenance services by bringing it to our expert facility. 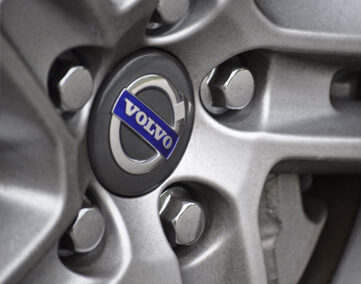 You can trust our Volvo specialists to keep your Volvo in excellent condition with quality maintenance services. Prevention is the key to your Volvo’s peak performance. Whenever you trust your vehicle to our well-trained and experienced techs you enjoy enhanced driving experiences. Retain the resale value of your Volvo by bringing us all of your oil changes, lube services, tune-ups, and more. Letting our experts monitor your Volvo’s condition makes sure you avoid repair costs and breakdowns. Precision Auto’s Volvo experts use the best quality parts replacements. We maintain the highest standards of repair services so that your Volvo’s performance and longevity is never compromised. We’ll consider your Volvo’s age, your driving habits, and the manufacturer’s recommendations when designing your service plan. As soon as you notice an issue, let our team have a look under the hood. Timing is everything with quality repair service. Our goal is to make your service experience as quick and affordable as possible. That usually means being proactive with all of your Volvo repairs. Pay attention to the warning signs that your Volvo is giving you, including check engine lights, abnormal sounds, strange smells, and smoke under the hood. When you act fast, we can fix problems even faster. We handle all Volvo repair needs with service expertise that’s better than any dealership. We got you covered from end to end, and there’s nothing we can’t fix right the first time! Schedule Your Volvo Service Appointment Today! Your Volvo is one of the finest automobiles on the highway. It has an excellent reputation for quality performance and reliability. And we’d like to keep it that way. All it takes is a proactive approach to all of your services. Our maintenance schedules and our complete and timely repairs are vital to your Volvo’s extended road-life. Give us a call today at 301-917-2682 to schedule your next service appointment. Feel free to save time by using our convenient online scheduling system right now!